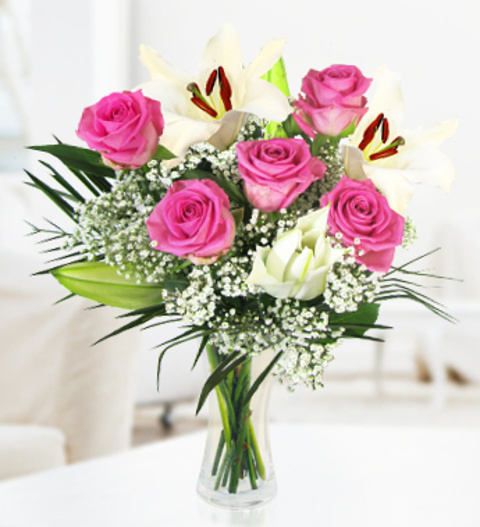 Donatella brings about a classic arrangement of fresh pink roses and stargazer lilies set in palm and babies breath. The arrangement is beautifully arranged by our talented florists and comes with a FREE box of Belgian chocolates. Suitable for all occasions, Donatella is available for UK next day delivery. Chocolates may contain nuts.